With so many juicers on the market, which one should you get? I will help you decide the best juicer for you based on your lifestyle and budget. The juicer you choose to buy is an important factor in determining the success of your journey to a healthier you. There are so many TYPES out there, which one is the best for you? This guide to juicers will help you pick the right one for your needs. “Juicer“, “juicing machine” or “juice extractor” is any mechanism, electric or manual that extracts the juice from fresh produce, separating juice from pulp. A common misunderstanding is that juicers and blenders are the same: THEY ARE NOT. A JUICER extracts the juice, separating it from the pulp. A BLENDER blends pulp and juice together creating a puree-like drink. Juicing and blending give different RESULTS. I often get asked if blending is as beneficial as juicing. Some people prefer blending as it includes the fiber. I would argue that there is no straightforward answer because they are two different methods, offering different benefits and different results. I’m not in favor of either. I do both, but I personally tend to do more of juicing for HEALTH reasons. Learn more about the differences between juicing and blending. On this page, I want to share with you about WHAT to look for and considerations when you’re shopping for a juicer.If you are set on getting a blender, here is what to look for when you shop for a blender. There are many types of juicers on the market. Firstly, you need to understand how each TYPE works. When you have identified the type of juicer that you think would be appropriate for you, check out the models to see which suits your budget, considering all the other factors appended below. The cost of a juicer can range from US$100 to a whopping US$3,000+! Depending on how serious you intend to be with your juicing lifestyle, I suggest you invest accordingly. Cheaper juicers may be suitable for beginners with a low budget. They may not be the best juicers, but it’s better than not juicing at all. I first started juicing with a centrifugal juicer because that was what I could afford at the time. Although I saved on the price of the juicer, I spent more on the produce to juice the required amount of juice. In the long run, it did not work out to be economical. Investing in a good gear juicer (versus a centrifugal juicer), will save money in the long run through the higher yield of juice. If you juiced everyday and saved 25-35% on higher juice yield, within a month or two you may actually recuperate your initial investment. With the right juice extractor, juicing is a breeze and becomes a fulfilling and rewarding experience – encouraging you to continue on your juicing journey. With the wrong juicer, not only would you regret the money spent, you would be frustrated with juicing as a whole as it would not yield the results you set out to achieve in the first place. Centrifugal juicers are the most common type of juicer on the market. They chop the fruits and vegetables into fine pieces, simultaneously spinning them at very high speed (3,000 – 16,000 rpm) to separate juice from pulp. You can spot a centrifugal juicer by the strainer basket that has blades at the base. Masticating Juicers are also known as “cold press” or “gear” juicers. They works by grinding to break up the fruits and vegetables, then press them through a strainer. They spin at a very low speed (40 – 160 rpm). This gentler method of juice extraction preserves the enzymes and nutrients, producing concentrated and wholesome juice. You can spot a masticating juicer by its “spiral auger”. Of course there is no “perfect” juicer out there. The perfect juicer is one that you WOULD use every day. Some factors/features you may want to weigh more than the cost. Remember, the “perfect” juicer is one that in the long run – is easy to use, saves time, saves cost, produce nutritious juices and motivates you to keep juicing! Able to juice leafy green vegetables, hard and soft fruits, wheatgrass and herbs. Low speed (40 to 160 rounds per minute) to preserve the nutrients and enzymes. Minimize oxidation so that juice can be stored for longer (up to 72 hours). Able to minimize agricultural chemicals and pesticides. High juice yield (dryer pulp — extracting up to 35% more juice). Produce high quality, concentrated, rich, nutritious juice each time. 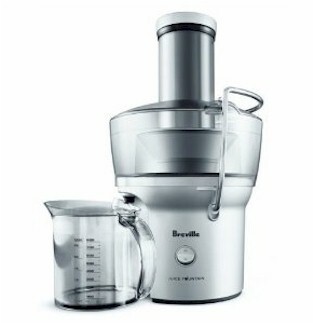 Easy to assemble, operate and clean after use — essential for regular juicers like me!! Important read about juicer efficiency and safety. So where can you find this type of juicer? Go to this page on masticating juicer to find out more. Or take a look at some recommended models that I’ve personally used, or have very good feedback. Many beginners don’t want to spend much as they’re “not sure if juicing is for them”. You’re not sure if juicing is for you. If you got a cheap centrifugal juicer, it doesn’t do much convincing for you as a centrifugal juicer is difficult to wash and doesn’t produce nice tasting juices. For these poor reasons of getting an “inferior” juicer, you conclude that “juicing is not for you”. If you got a good masticating juicer, I promise you would be hooked for life. A good gear juicer gives you such a wonderful juicing experience that you would want to continue with it. It is easy to operate and extracts such tasty, concentrated juices. I may sound like I’m prejudiced, but I’m saying this only out of my own experience. I’ve used many types of juicers and currently own four different masticating juicer models so I know what I’m saying. Cheap juicers usually cost more in the long run as they are usually less efficient, producing a lower juice yield. This means more fruits/vegs are required to get a glass of juice. 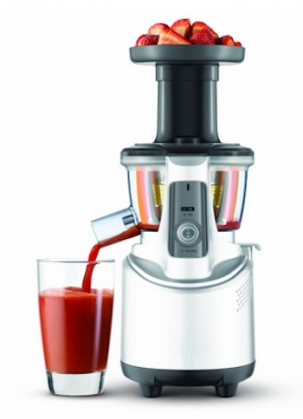 With a good gear juicer, you get maximum juice yield and high quality juice. A gear juicer usually comes with a 10-20 year warranty. Of which the price would have been worth it already. (2) Buy a reasonable juicer that you can afford for now, and set a goal to SAVE enough for that gear juicer, not too far in the future.